My fifth wedding anniversary is July 3rd. I’ll be in Asheville, North Carolina, attending my writing program for a third summer—three years, I've missed my wedding anniversary. My wife, Karen, who has learned not to expect gifts—at least gifts one can buy—anticipates a letter. I’ve lived with her six years. I talk to her daily. I’ve been dating her fifteen years. And yet, I write her letters. I can’t buy a diamond (my wife’s engagement ring was sapphire; she lost it), but I can write a letter. I can write, for example: Desnuda eres azul como la noche en Ambler. I would never write that line. 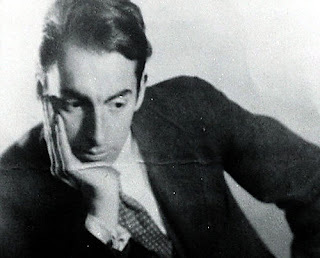 That’s Pablo Neruda, from his first collection of poetry, Twenty Love Poems and a Song of Despair. Naked you are blue as the night in Cuba. Karen lived in Chile, Neruda’s home, when she was nineteen. At that time, I was at Bloomsburg University. We talked on the phone, a difficult, static-filled affair, each Sunday evening. During the week, we wrote letters. I told her about my Saturday afternoons, drinking beer at the Cattawissa Inn, an ancient establishment located off a solitary road that sold draft beer for sixty cents a glass. She told me about her Santiago life, sharing a mango with a certain Brianna, drinking boxed wine in the squares, visiting the streets called Maruri and Argülles where Neruda, young, unbearably skinny and unbearably alive, wrote his early poems. Ridiculous. I’m surprised we accept this from Neruda. Maybe just him, and no one else. I must admit, though: I’ve written more than a few sentimental letters. I looked over some of my letters today (Karen’s kept them all, a hundred or more, bundled neatly in a shoe box). I’m embarrassed by everything--from May, 1996 to September, 2004, I channeled young Neruda, apparently. The height of my schmaltz was January to May, 1999, when Karen was in Chile. In May, 2000, we graduated college. Winter, 2001, we moved to Barcelona. I was living with Karen, so I wrote only cards. Karen hides these cards amidst her clothes, in secret places I’m unwilling to explore. By 2002, we were home and I was experiencing my first bouts with illness. I entered a silent period that lasted two years. In September, 2004, I recommenced my letter writing. I’m not necessarily embarrassed by these letters. I’m not sure how I feel. At the time, we had just returned home from a three-week honeymoon in Spain. I had been hit by a car on the second day of the trip; a few days later, I entered the hospital close to death (at 118 pounds) and was diagnosed with a chronic, life-changing illness. By then, of course, I saw Karen every day. I talked to her for hours. And yet, the letters I wrote during that time seemed crucial. Somehow, I was trying to figure it out. What had happened to me? Why? I was absolutely poor so the letter, once again, became my de-facto birthday and anniversary gift. In this way, my letters seem selfish. I write them for myself. I try to explain myself to myself. And then I give this as a gift? Still, my wife wants letters. This year, I’ve written her one letter. To her, this seems like incredible negligence. After all, I currently have three or four active pen pals. I'm writing a novel. I maintain three blogs. I litter my friend’s Facebook pages with comments. I tweet. So what’s one more letter to my wife? I don’t have an answer to this question. In some ways, I know, it is incredible negligence. Maybe after I graduate from my program, this July, I’ll re-commence. I better, because I don’t anticipate becoming the type of man who buys gifts anytime in the near future. I’d love too, of course. I’d love to treat my wife to extravagant dinners, shocking jewelry. Right now, though, I’m poor. Words are all I can afford. Seth, when are you going to write a freakin' book linking all these posts together? It's there, waiting to happen. I adore Anais Nin's diaries. The woman was so over the top, exagerating, stretching truths - but that's why I love her. But your words are more beautiful and tender than anything material that you could treat Karen to. And I'm sure she thinks the same (though I daresay the odd dinner or sparkle wouldn't go amiss). Whatever you do write in your next letter to her, it will contain pieces of yourself that you would never offer to anyone else. That kind of gift is priceless. I think it is your utter self-indulgence that makes me like you so. That and your open, tender love for your wife. Thea says "YOU are your story", and she is right. You are. Everything you write is about you, your illness, your passions, the people you care about. You have made yourself into fiction -- wonderful fiction. And I appreciate you greatly. Thanks, Jeffrey. It just occured to me, reading your comment, that my blog here might seem crass to some, as I've shared what was never meant to be shared, the private letters I've sent to my girlfriend/wife. I do think that private letters are an intimate story, a little gift. Often, too, I feel like I write best in the epistlery form; I wish I could write so freely in my fiction. That said, I concur with Rachael in encouraging the odd dinner at a restaurant! But anyway, my point is that it's pretty cool you've held onto all those letters! Your letters are priceless and far better than any traditional material gift. They are parts of you written out and given to her, your love. Beautiful. I really enjoy reading your blogs. I can only imagine how special a letter from you (if you were my love) is. Thank you for sharing yourself.